RUN FASTA AND EAT PASTA. START: Ministry of Sound Fitness, Arches 80 and 81, Newington Court, SE1 6DD, London. FINISH: Padella, 6 Southwark St, SE1 1TQ, London. TUBE: Elephant & Castle / Borough. THE WORKOUT: Forge class at 11:15am on Sunday with Karis. 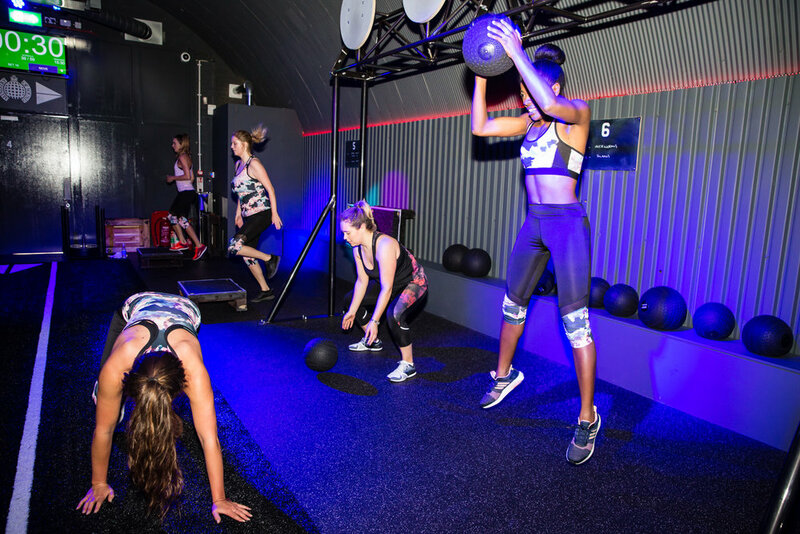 The famed nightclub Ministry of Sound has jumped on the bandwagon of fitness fun and launched their version of HIT training in a nightclub. Forge is a dedicated class for boosting your run skills. If you want to hone some marathon or sprint expertise or just want to start getting back into it then Forge is the class that helps you become a better runner. For those feeling slightly worse for wear post Saturday night out then Karis is the fiery ball of energy you need who will get you pumped up in no time. She is also a fresh of breath air in terms of creativity in the workout. Forget boring old squats and burpees, expect high energy moves without the boredom factor. A number of stations will test your agility, coordination, flexibility and strength. By the end, your hamstrings will surely be on fire and ready for a nice rest (over lunch). Stretch it out before you leave to avoid some serious stiffness on Monday. 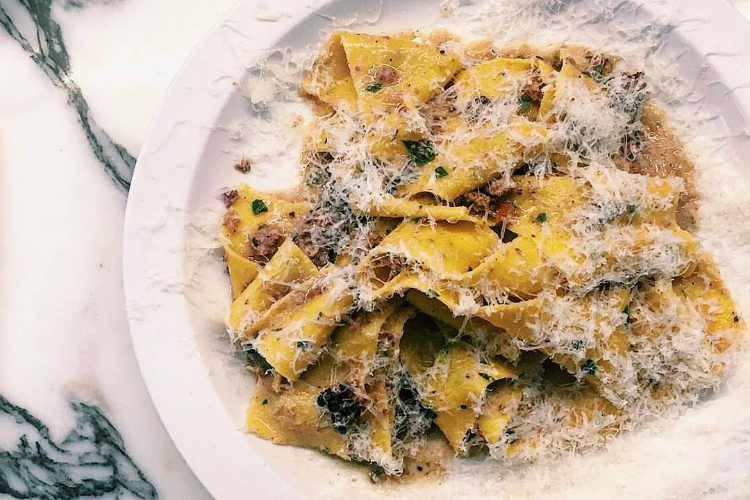 THE FOOD: If you’re the kind of person that has to panic order in every place you dine (choosing food is hard) then Padella may be the restaurant you always dreamed of, since there are just ten but perfectly formed plates to choose. You can’t book a table here (life is so much more fun living on the edge) but the queue moves pretty quickly. The interior is fairly small, with high marbled counters and tiled in black and white which sets the little hole-in-the-wall local Italian restaurant tone. In our opinion olives are always the surest sign of what great things are to come from a restaurant. And the green Castelvetrano juicy babies that Padella serve up for nibbles are nutty and delicious. The main event is the pasta, which are all handmade and sauced seasonally; gnocchi, ravioli, pappardelle, tagliatelle, tagliarini and pici (it looks like wonky and a bit wormy). Pici with marjoram and garlic is incredibly light (they are made without egg) and flavourful. The soft texture means that the Pici takes on more of the sauce than fresh egg pasta, so the garlic and herb really soaks in. Gnocchi with nutmeg butter is also a simple dish but beautifully buttery pillows of joy. The classic spinach and ricotta ravioli is richer, but a classic. For ‘fancier’ plates the menu also hosts seasonal dishes that continue to change and refresh. We loved the tagliarini with chili and mussels and the fettuccine with artichoke hearts; simple dishes made with high quality ingredients that sing through and cling to the pasta. Dessert can always be a bit of a disappointment in places that specialize in doing one thing (pasta in this case) extraordinarily well. This is not the case here; a scoop of salted caramel ice-cream is everything you want it to be; salty, sweet melting excellence.There are also a couple of homemade tarts on the menu for those seeking a richer hit of sweet; tangy rhubarb and almond or zesty lemon. Getting a bit boozy over Sunday lunch comes with territory in a dehydrated post work-out state and you couldn’t be in safer hands here. From British craft beers, barrels of Italian wine and Italian classic cocktails (Negroni, Americano, Spritz) done with twist set you up for a suitably sleepy afternoon. Since most dishes here are under tenner (and did we mention bloody delicious) and the fact that you get a shot of Limoncello or Grappa thrown in with the bill makes Padella one of our favourite new spots for a post-workout carb-fest (those glycogen stores aren’t going to reload by themselves). THE PRICE: Ministry drop-in £18. First-timers can buy four classes to use in 10 days for £39. Padella: Olives £2, Gnocchi with nutmeg butter £4, Pici with marjoram and garlic £6.5, Spinach and ricotta ravioli £8.5, Fettuccine with Artichoke hearts £9.5, Tagliarini with mussels, chili, lemon, garlic £11.5. Desserts: Ice-cream £4, tarts £4.5. Drinks: Cocktails from £5, Wine on tap from £4, Craft beer £4.5, BYOB for £10, Espresso £2. BEST FOR: Sunday sleeps after carbing up over lunch (which you’ve earned by the way).